Before Corey and I ever started to talk about moving, I remember watching friends who were getting ready to sell their homes scramble to complete unfinished projects and thinking, gosh, isn’t it sad that they’re just now doing all of those things and now they have to leave? I vowed I would never be that person. I’d complete all the important stuff way before I ever thought about moving so that I could actually enjoy the things in my home and not just finish them so I can move to a new house. 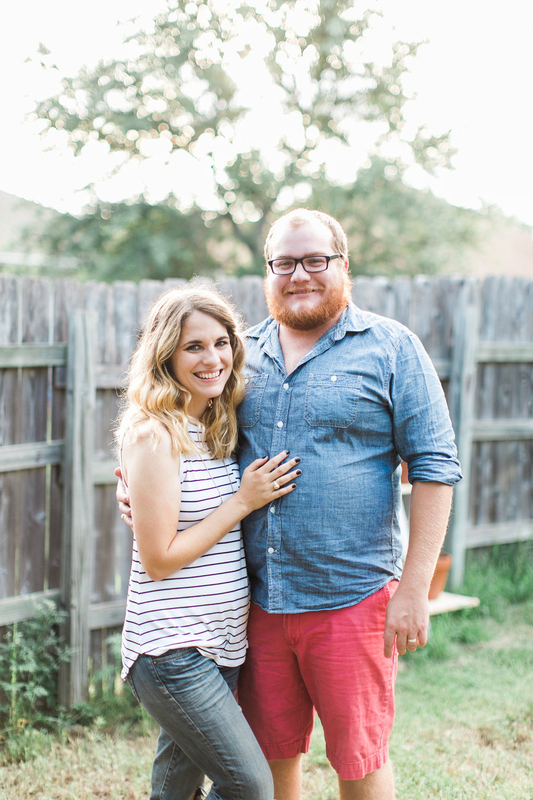 And then, Corey and I decided to move out of the blue…and have spent the last two months scrambling to complete a bunch of projects just so we can sell our house. It’s definitely been a good lesson in the things that we should do first next time around, and as sad as it is I think I’m really okay with leaving most of it behind. There’s just one thing that’s really, really breaking my heart. Y’all, I don’t even know where to begin. 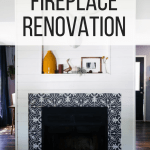 This fireplace makeover has been percolating in our heads since the day we moved into this house, and now that it’s finally done, we’re getting ready to move! I’m definitely sad that we’ll have to walk away from this beauty, but I have to say that I’m so glad that we were able to see it to fruition before we leave. 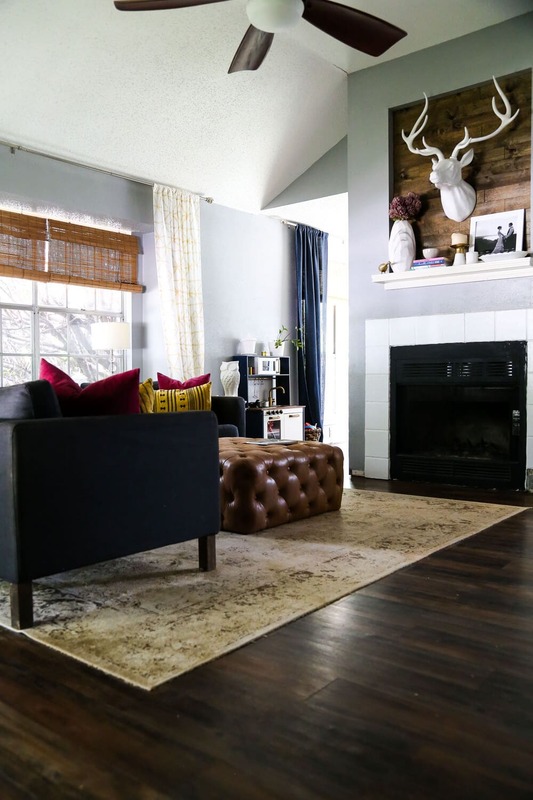 You can see the full tutorial for how we got it done on The Home Depot’s blog today, but we used their shiplap appearance boards and I was really impressed with how high quality they are and how easy they were to install. 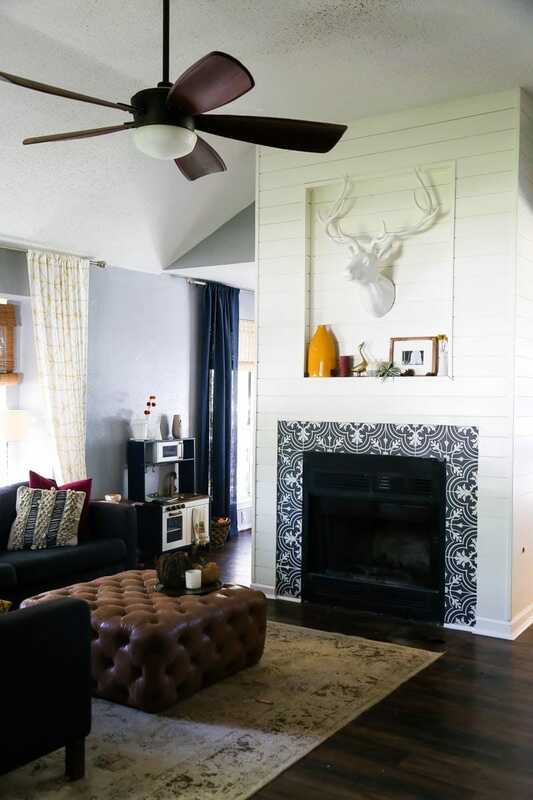 They’re definitely more expensive than going the DIY shiplap route, but they give a much more authentic result, and the extra cost is offset by the fact that it’s so fast to install. And can we talk about that tile? I know it’s a pattern that’s pretty common in a lot of blogs right now, but there’s a reason – it’s so pretty and graphic, and the black and white makes such a statement. I love it. So much. 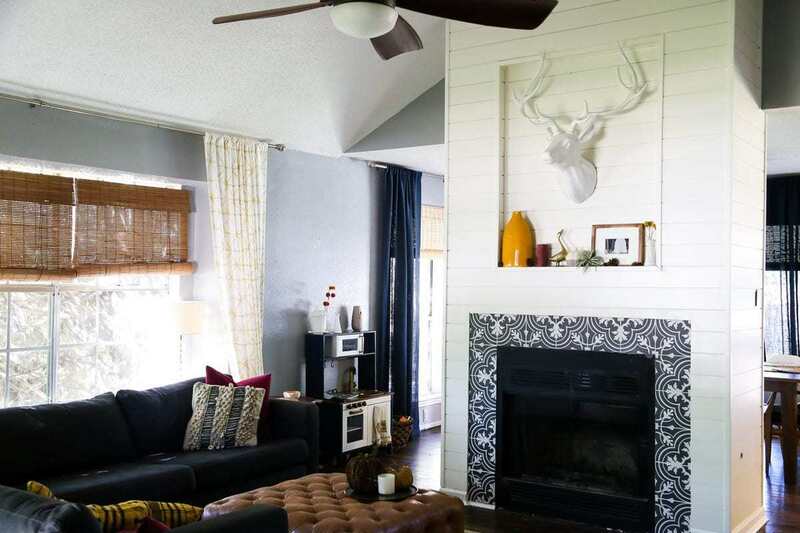 The best part about this fireplace is that’s it’s not even done yet. 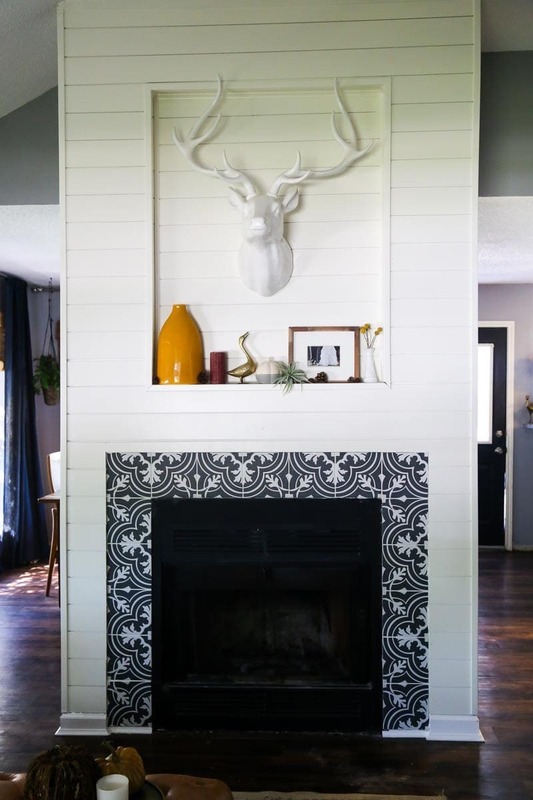 We have been working hard to add a mantel to it, and it’s finally finished and hung – so check back soon to see the mantel, because it makes the fireplace look even better (seriously – it’s possible). I’m going to miss a lot of things about this house, but I can confidently say this fireplace will be the thing I miss the most. I mean. It’s perfect. Be sure to head over to The Home Depot’s blog to check out the tutorial – and for those of you who have been following along on my journey to learn how to use power tools, let me assure you I did this project 100% by myself. No help! I tiled, I shiplapped, I trimmed…I did it all, and I’m so proud. And, I’ve said it a million times but it bears repeating – if I can do this, you can do this. It looks great! 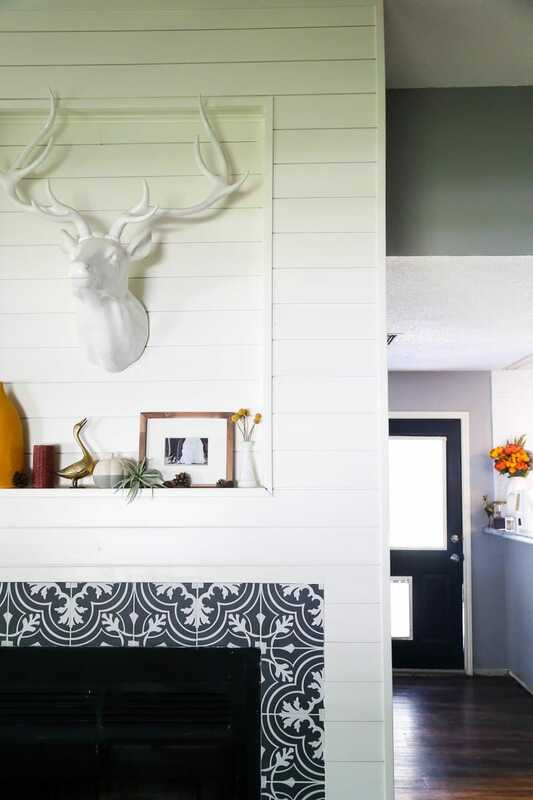 Love the inset as a place for a picture or some special item. I am curious why you did not reverse the tiles on the right hand side so the pattern was even on both sides? This would drive me crazy….sorry my OCD is showing!! !